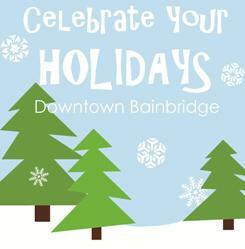 Hot Cider, music, carriage rides and the traditional tree lighting at 5:30pm (next to Blackbird Bakery). A great day to start your Holiday Passport in Winslow too. Many sales and fun activities for the kids along the way. Click here for detailed info. And remember today is Small Business Saturday. The trails at IslandWood are only open to the public four times a year and today is one of those days. Climb the forest canopy tower, run along the suspension bridge and burn off that Thanksgiving turkey. Docents are on hand to answer questions, but you are free to explore the trails and have fun. Click here for more info. Emerald City Trolleys will run from Winslow to Lynwood Center every weekend through Dec. 22nd (approximately 11am-3pm). There will be additional vendors set up in the marketplace for holiday shopping. On December 1st, for the 5pm tree lighting, the Woodward Middle School and High School Choirs will be performing. Click here for more info. 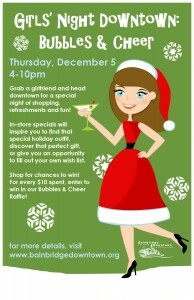 Grab a girlfriend and head downtown for sales, drinks, treats, and community fun. Stores are open late, a great time to continue your holiday shopping. Click here for more info. The holiday wreath machines are up and running. A custom made wreath makes a great gift or a nice treat for yourself. Fun to do with visiting family/guests too. Make an afternoon of it by visiting the on-site New Rose Cafe for lunch. Call 206.842.5888 to reserve a spot. Click here for more info. Enjoy local art shimmering against the holiday lights in Downtown Winslow. Local businesses will be open to display art and toast the season. Click here for a map and more info. Island-wide shopping tour of local arts, crafts and goods. Celebrating its 20th year on the island. The tour is free. Entertainment and food along the way at the various venues. Click here for a tour map and here for lots more info. 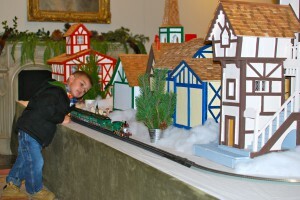 Visit the magical village set up in the visitor’s center and stroll the trails (maybe they will be white this year). During the dates above kids 12 and under enjoy free admission. On Saturday December 7th adult admission is only $7 versus the regular $15. Click here for more info. A delicious brunch, plus photos with santa and mini performances of The Nutcracker by the Olympic Performance at each seating. $18 for adults, $10 for kids. Reserve your seat by calling 206.842.8439. Click here for more info. Photographer Nick Felky will be on hand to take cute Santa Photos. Please bring a cash or food donation to benefit Helpline House. 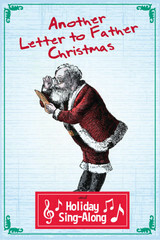 Fatherland, It’s a Wonderful Life, The SantaLand Diaries and more are running in December at BPA. Click here for times and prices. That’s right, men are not left out here. A night of complimentary gift wrap, libations and sales. Get your shopping done all in one stop. Click here for a list of participating stores. Grab a passort from one of 45 participating Winslow retailers and have it stamped when you spend over $10. Collect stamps from at least 10 different retailers and be eligible to win one of four shopping sprees valued at $1,100. Drawing held January 6th. Also there is an “Elf on the Shelf ” scavenger hunt in the passport for your young shopping companion/s. Prizes. Click here for more info. While you are downtown, visit one of The Giving Trees to contribute to a local charity. Click here for more info. If you and your family like to cut down your own tree, this map is for you. We do different things every year, but we certainly live in the prime spot to find a fresh tree. We have two kittens in our house this year so the thought of putting up a decorated tree is making us all cringe, even my ten year old, so the jury is still out on how we are going to pull off a tree in 2013. I do know we are all hoping for a white Christmas at our house, especially since we did not see any snow in 2012. And a little snow would make tree hunting even more fun. Fingers crossed.